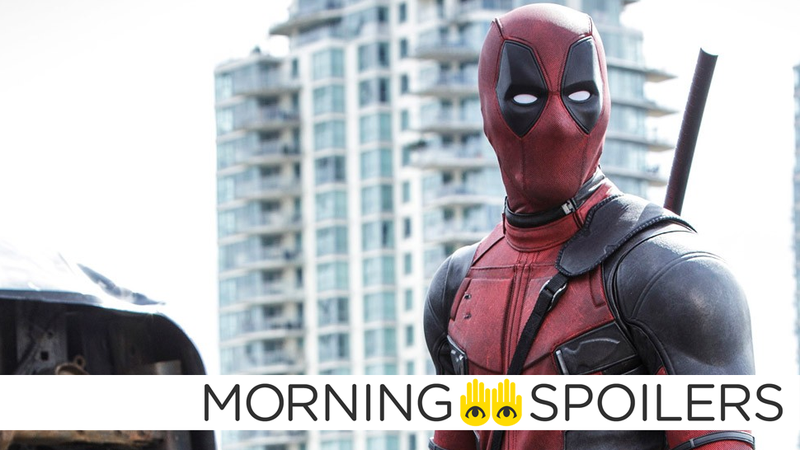 Could a Deadpool/Wolverine Crossover Movie Actually Happen? Taika Waititi discusses the alien scope of Thor: Ragnarok. Bryan Singer talks about the new X-Men TV show’s connection to the wider mutant universe. James Mangold reveals why Professor X has hair in Logan. Plus, new details of a major Black Panther action scene, and a classic Doctor Who monster returns once more. Behold, Spoilers! We’ve come a long way from 2009, when we couldn’t get the movie off the ground ’til now. And to have [this team-up]? It would be amazing to have Hugh resurrect Wolverine in the Deadpool universe, and again, Ryan’s making a hard push to make that happen, and hopefully the public gets behind it and we can all convince Hugh to put the claws on one more time. Yeah, [a crossover] would, if you think about it. If you’re looking at Deadpool 2, if you’re looking at X-Force, if you’re looking at Deadpool 3, there’s not necessarily room for [another] team-up movie. I think it does create real scheduling and universe issues and something that could be ironed out, but it would need to be ironed out. I don’t think any of us operated under the assumption that it would be even possible to do a Deadpool/Wolverine thing, so we just haven’t planned for it, it’s still not in the plan, but if it were to happen, it would require a hard look at the overall architecture of our storylines. [It] could be kind of sacrilege. The theory was that he originally lost all his hair because it’s just too damn busy [in his head] to grow hair – the idea for me was, well, maybe there’s a little fringe on there, because things are slowing down mentally. According to Variety, production is headed to South Korea to film a huge chase scene between Black Panther and the film’s primary villain, featuring 150 cars, 700 people, and even a few helicopters to boot. Oh, and loads of gunfire, obviously. Sometimes I would stop and think, I’m doing a movie that’s got Thor and Doctor Strange and The Incredible Hulk and Loki and every character is so strange and different. Civil War it’s just humans, humans with human problems. Ours is creatures and beings and all these sorts of really different characters. Again displaying human problems, but in outer space or in other worlds. It’s not like a thing that I’ve ever planned, but now I’m in all of my movies in a small role or a larger role. I’ll probably just keep doing that. It’s like a dumb thing I do now. The images of Robin Hood, the imagery we have, the production design, the stunt work that we’re doing—a lot of it was inspired by the John Wick stunt work. The stuff we’re doing with the bow and arrow, it’s the same thing that Keanu does with the gun. The costumes, it just feels different than any other Robin Hood we had. Iwanyk goes on to describe the film’s gritty, PTSD-driven angle on the Robin Hood legend. The new Imax poster is very Kongpocalypse Now. USA Today has revealed a handful of new but not very revealing stills from the film; head to the link to see more. Some crossover is all I can really say. I can’t really speak to that. I come in and out of it, sort of, but I’ve been involved in it for about 20 years — I signed the deal in ’96! I think there’ll just be crossover and standalone. It’s just the right thing to do. The X-Men universe is every bit as big as the rest of the whole Marvel universe, so why not? Classic Who monsters the Ice Warriors will re-return in season 10, according to writer (and Sherlock co-creator) Mark Gatiss. You can also expect “a new kind of Ice Warrior” according to the Gatiss, who also wrote the Ice Warriors’ earlier return in season eight’s “Cold Blood.” That was a great episode, so we’re looking forward to this. Season two picks up a year following the events of the finale and focuses on a reemergence of magic that terrifies the citizens of Arbolorn, thanks to a shadowy organization called The Crimson charged with hunting down anyone practicing sorcery and sewing discord among the citizenry of The Four Lands. Meanwhile, a still mourning Wil is forced to abandon his plans to become a healer and rejoin the fight when he’s saved from a Crimson attack; fortunately, he’s soon reunited with Eretria and the two venture off the find Allanon. Only they’re confronted with Bandon’s journey to the dark side, which includes a mission to resurrect an evil known as The Warlock Lord. Joining the cast of The Shannara Chronicles for season two are Malese Jow (Star-Crossed) as Mareth, the unpredictable, independent young woman who rescues Wil from the Crimson and forms an instant connection with the half-elf; Vanessa Morgan (Finding Carter) as Lyria, a mysterious young woman romantically linked to Eretria; Desmond Chiam (NCIS) as General Rigam, a former top dog under Evertine whose fingerprints are all over the chaos in The Four Lands; Gentry White (UnREAL) as charismatic bounty hunter Garet, known throughout the Four Lands as The Weapons Master; and Caroline Chikezie (Everly) as Queen Tamlin, the ruler of the only human kingdom in The Four Lands. Two new publicity stills of Finn Jones in action have made their way online. Miller devises a dangerous plan to eradicate what’s let of the protomolecule on Eros.